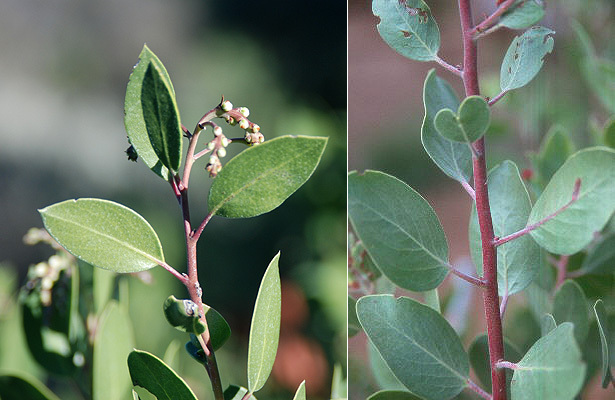 Broadleaf evergreen shrub or small tree, 6.5-25+ ft (2-8+ m) tall, crooked branching habit, may form dense thickets; does not form a burl. Stems purplish-red, smooth to finely pubescent. 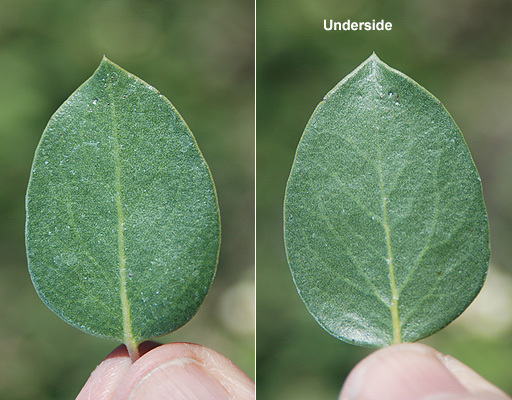 Leaves alternate, simple, erect, 2-5 cm long and 1-3.5 cm wide, generally broadly ovate, base rounded to wedge-shaped, tip mucronate (short abrupt point), margin entire, both surfaces similar, bright green, shiny, glabrous, smooth, petiole 6-12 mm long. Flowers small, urn-shaped, white to pinkish, in dense, pendulous clusters to 3 cm, at ends of branches. Fruit a flattened sphere, 8-12 mm wide, glabrous to hairy, white then red-brown. Sun or part shade. 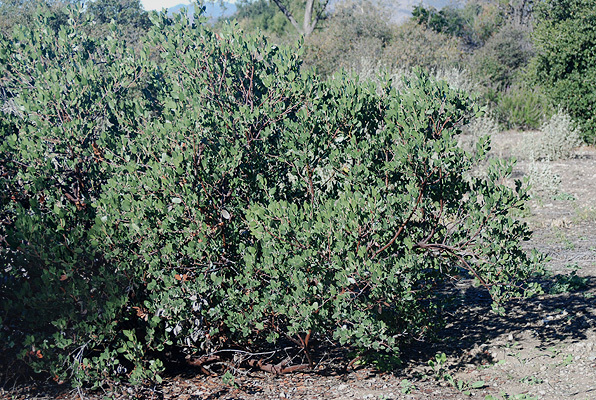 Some consider it the best all-around manzanita. Hardy to USDA Zone 8 Native to California, North Coast Range, foothills of the Cascades and Sierra Nevada mountains, and San Francisco Bay Area. ‘Dr. Hurd’ - a tree-like form, 12-15 ft (~3.5-4.5 m) tall, similar width, open, up swept stems, mahogany bark, large leaves, white flowers. ‘St. 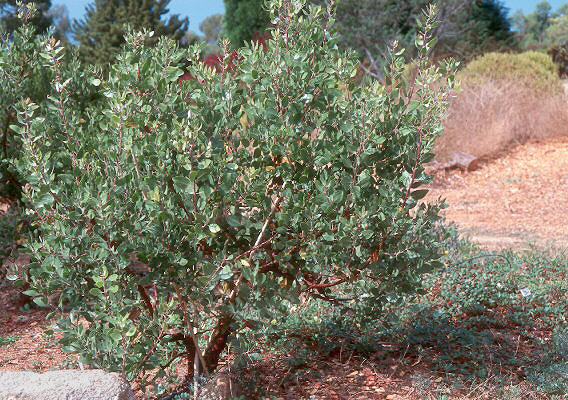 Helena’ - stout, widely spreading trunks, bright cinnamon bark, gray green leaves, white flowers.